MD 2.0 - Concierge Medicine Jupiter FL > Blog > Health Basics > What’s Wrong with Coconut Oil? Then, when scientific studies begin to arrive that question the claims made for the product, we get even more questions. Coconut oil is one such substance that has been touted by celebrities and various websites over the past few years as being able to impart miraculous health benefits. These include: preventing Alzheimer’s disease; helping to build and maintain muscles; preventing heart disease and high blood pressure; reducing inflammation and arthritis; helping in weight loss; treating kidney infections and protecting the liver . . . the list of supposed benefits goes on and on. The vast majority of assertions for the health benefits of of coconut oil are unproven, to put it mildly. But is it “pure poison,” as a Harvard university professor claimed recently? 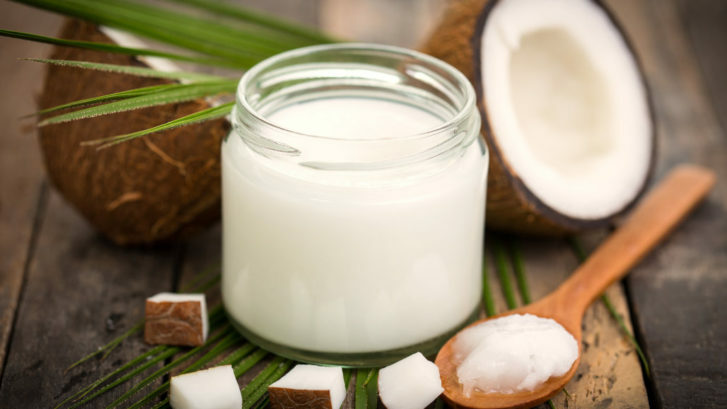 The problem with ingesting coconut oil is that it’s 92 percent saturated fat, the type of fat historically connected with heart disease. Similar to other types of fats like beef fat and palm oil that are known to raise the so-called “bad” cholesterol (low-density lipoprotein, or LDL), it actually contains more saturated fat than butter or lard. The American Heart Association (AHA) recommends that people should consume only about 13 grams of saturated fat per day, or about 5 percent of their total calorie intake. Those whose blood cholesterol readings are normal can safely obtain as much as 10 percent of their calories from saturated fat. On the other hand, about half of coconut oil’s saturated fat is composed of lauric acid, which may raise the “good” cholesterol (high-density lipoprotein, or HDL), thereby offsetting the LDL load from coconut oil. Unsaturated oils, though, not only raise HDL but lower LDL, which coconut oil doesn’t do. There’s no harm in occasionally consuming some coconut oil if a recipe calls for it. In fact, we need some saturated fat in our diets to absorb vitamins, repair cells, and provide energy. But people’s diets should lean far more heavily in the direction of monounsaturated and polyunsaturated fats like olive oil, corn oil, peanut oil, and sunflower oils. The AHA says use of these oils in place of saturated fats can reduce the risk of cardiovascular disease by as much as 30 percent, or about the same as cholesterol-lowering statin drugs. We know this can be confusing, especially with the plethora of claims for coconut oil emanating from so many places. But as always, moderation is the key to a healthy diet. If you have any questions about this or any other health issue, be sure to ask us. That’s why we’re here.